When God wants to release His purposes on the Earth, there may be times when God uses angelic beings, but most often He releases them through human vessels. This means that His purposes are released on the Earth through people like you and me. As you walk with God, you will discover the plans and purposes that He desires to release through you on this Earth. Some of these may be very significant—like the birth of the Son of God through a virgin, and some may not be as significant—like setting up a nursery school in a remote village that no one has heard about. Yet, each is a work of God being released on the earth. 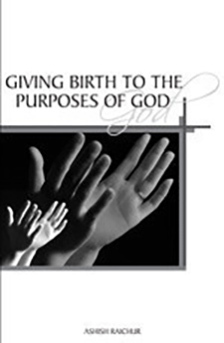 This book contains some valuable insight on giving birth to the purposes of God on the Earth. So, go about releasing the works of God through your life!